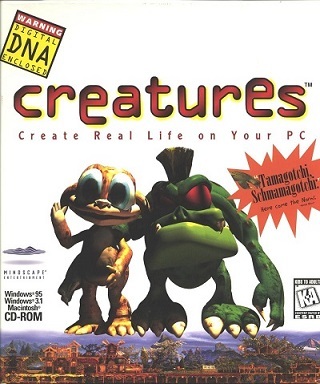 Creatures is the first game in the Creatures series (full listing). 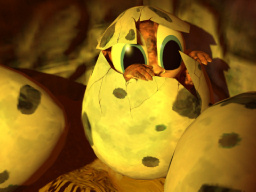 The game takes place in Albia, a disc-shaped world with an unique ecology, which is inhabited by norns and a grendel. The player, represented by the hand, can raise and care for their norns so they learn to survive and evolve to thrive. The original game is no longer available by itself, but can be purchased as part of Creatures: The Albian Years.